On Thursday evening, November 19, from 6-8 p.m., multi-award-winning architect, professor, author, and artist Frank Harmon, FAIA, will thank friends, colleagues, and clients for a 50-year career that saw him rise to the top of his profession when he officially announces his retirement during an oyster roast and champagne toast. Harmon’s retirement party will be held at the thoroughly “green” Modern building he designed and where his office has been located for the past three years: the AIA NC Center for Architecture and Design, 14 East Peace Street, in downtown Raleigh. Free and open to the public, the event is part of North Carolina Modernist Houses‘ “Thirst4Architecture” series. Anyone who wishes to attend should email RSVP@frankharmon.com. 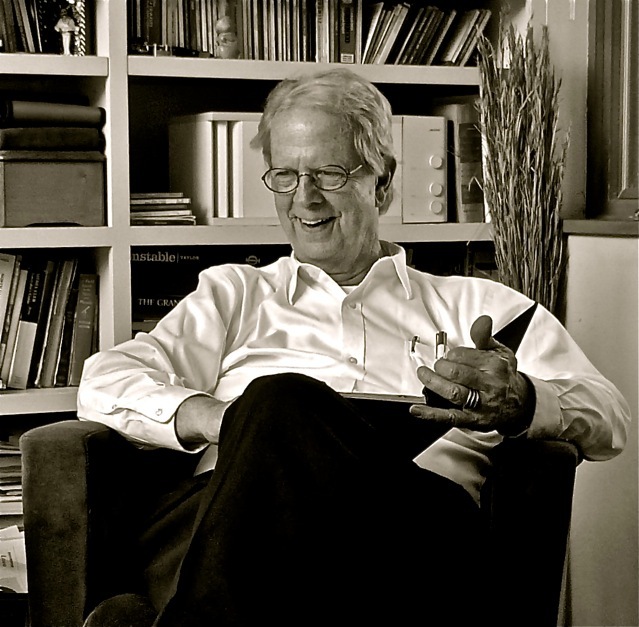 Since founding his firm in 1985, Frank Harmon has received dozens of local, regional, and national design awards and other professional honors, including the 2013 F. Carter Williams Gold Medal, the highest honor the North Carolina Chapter of the American Institute of Architects presents.